Having joined SoftServe in 1995, Mr. Lyubinets acted on various engineering, client facing and management positions. In 1997, he was appointed as a Vice President of Engineering. Over the years, his responsibilities included driving all aspects of the software development lifecycle, from requirements and testing to quality standards and release to client success. Mr. Lyubinets graduated from the Applied Mathematics Faculty of Lviv National Ivan Franko University in Ukraine, and obtained a Ph.D. in Computer Science. For over fifteen years, he has been a research staff member and a professor at the Lviv National Polytechnic University, teaching information systems related courses. In 2007, Mr. Lyubinets completed the Presidents` MBA program at the Kyiv-Mohyla Business School, and in 2013 he graduated from Harvard Business School. Mr. Vasylyk has more than 20 years of experience in the IT and outsourcing services industry. At SoftServe, he was responsible for leading and managing the software delivery team of over 2000 people, as well as maintaining a strong relationship with existing and new customers, ensuring efficient and profitable software delivery operations. Mr. Vasylyk was also accountable for the company's acquisition strategy and implementation, evaluating global delivery capacity, providing world-class delivery excellence and revenue management. He obtained his MBA in Management Information Systems at Lally School of Management and Technology, Rensselaer Polytechnic Institute, Troy, NY. 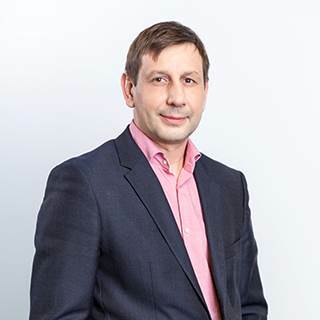 Taras Kytsmey is the Co-Founder and Board Member of SoftServe. 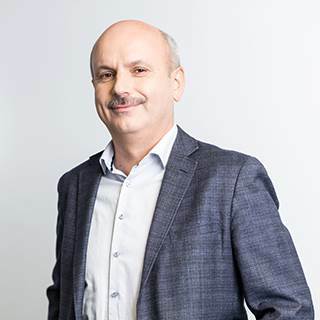 From 1997 till 2013 he served as the company’s President leading SoftServe to growth and success as a global provider of high quality software development and technology consulting services. Taras Kytsmey is also the current President of the "IT Ukraine" Association. Mr. Kytsmey is actively engaged in the Ukrainian IT community, and is a frequent speaker on panels related to the offshore software development industry in Ukraine. 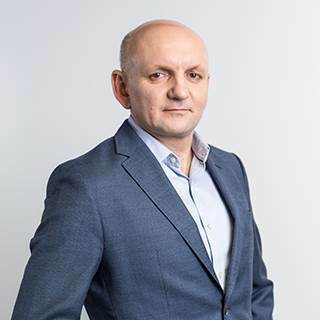 He is known as a visionary leader and advocate for high quality, accessible IT education in Ukraine, the implementation of innovative IT education programs, promotion of trust and win-win as a business model, and development of local and national business cultures. 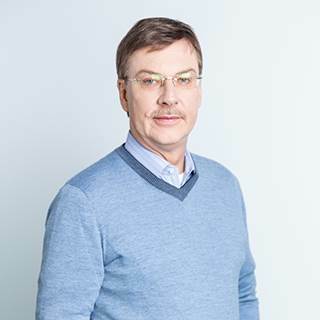 Mr. Kytsmey graduated from the Applied Mathematics Faculty of Lviv National Ivan Franko University and obtained a Ph.D. in Computer Science with thesis in Fuzzy Database Systems, and in 2012 he completed Harvard Business School’s Owner/President Management Program. From 1992 until 2002, Mr. Kytsmey worked as a professor at the Lviv National Polytechnic University. Taras Vervega is a Co-Founder and Board Member of SoftServe. As a renowned Ukrainian businessman and philanthropist, Taras actively supports the advancement of the Ukrainian IT industry. He collaborates with European and US organizations to promote Ukraine's technological innovation potential at a global level. Taras has a Computer Science Degree from Lviv National Polytechnic University. In 2015, Taras Vervega was recognized as the Benefactor of the Year in the ‘2015 People of Lviv‘ Awards. Chris Baker is both a seasoned entrepreneur and a Fortune 250 senior leader. 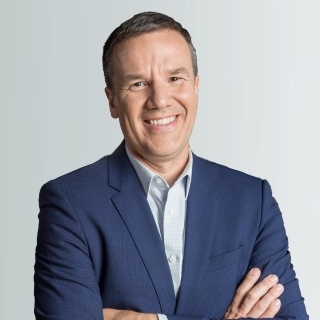 He has been a member of SoftServe’s Board of Directors since 2012, and became CEO in 2015. Chris has led high growth technology companies for over 20 years. 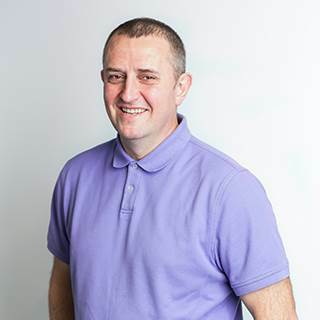 Most recently, Chris has served both as President and CTO of 360incentives.com, a leading incentive management company based in Toronto, Canada. Prior to that, he has been an active angel investor after serving as President of Group 1 Software, a leading enterprise class software company based in Lanham, MD (a wholly-owned subsidiary of Pitney Bowes.) While with Pitney Bowes, he participated in multiple acquisitions and integrations and was a member of the Chairman’s Council and the Strategic Leaders Council. Earlier in his career, among other startups, Chris founded and built MailCode Inc. into a leading global provider of technology solutions for mail processing via optical character reading, which was later sold to Pitney Bowes. Mr. Baker holds multiple patents, including one for Differential Weighing, a method to increase the speed and efficiency of weighing mail pieces. Chris holds a B.S. degree in Electrical Engineering Technology, with honors, from Purdue University and has been honored as a Distinguished Purdue Alumnus. Mr. Ezerins has extensive experience in enterprise management, particularly on marketing and business development side. He was a founder of Ezerins Realty in 1979 in Springfield, MA, which invested in bank foreclosed residential apartment buildings. In 1982, Mr. Ezerins founded Advanced Marketing Concepts and Business West with the partner, interest sold to the partner in 1985. Later he was a founder of AdMail Corp. in Springfield, MA, the company eventually evolved into AccuData, Inc., a nationwide provider of integrated marketing services, and relocated to Cape Coral, FL. In 2000, Mr. Ezerins founded Alvion Inc., a technology company serving the direct marketing industry which in 2006 was sold to an investor/management group. Alvion included significant operations in Sevastopol, Ukraine.